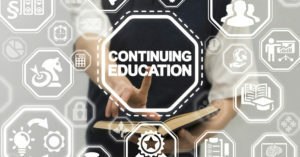 Courses are AIA (American Institute of Architects), AIBD (American Institute of Building Design), IDEC (Interior Design Continuing Education Council – ASID, IDC and IIDA) and NARI (National Association of the Remodeling Industry) approved. Mills is able to present these courses, typically an hour in length, either at our office or your facility. Often our partners elect to do this over lunch (Mills is happy to provide food and drinks), but we can just as easily schedule this earlier in the morning, later in the day, or whenever convenient to you and your teams. For more information or to schedule an appointment, please contact Sarah Brewster at 847-419-9990, ext 105, or sarahb@mills-technologies.com. Please provide two preferred dates and estimated number of attendees. Feel free to send this to any of your professional colleagues who may be interested as well.